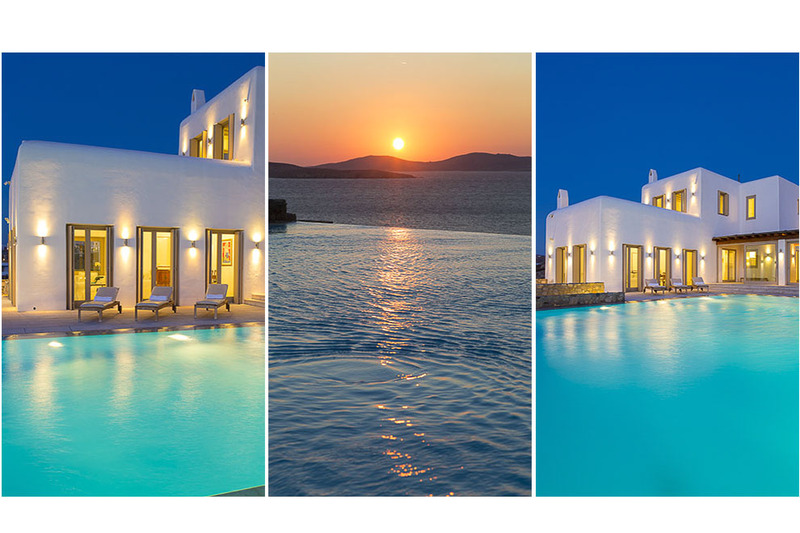 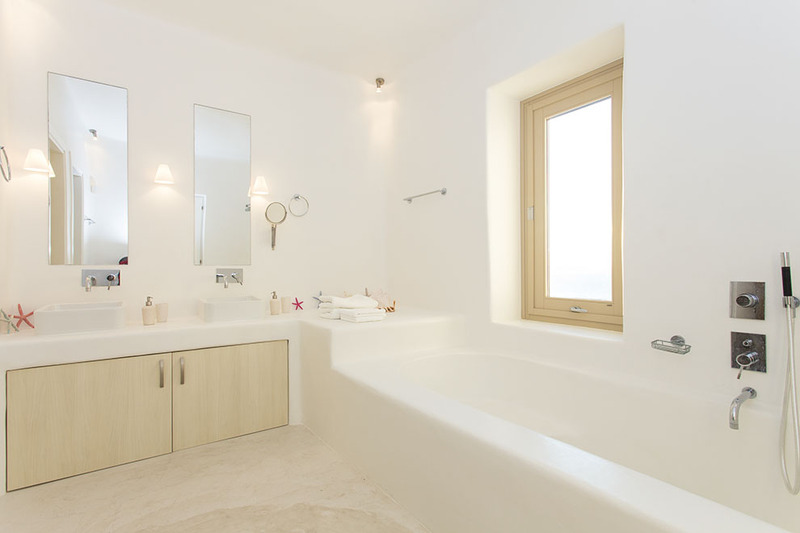 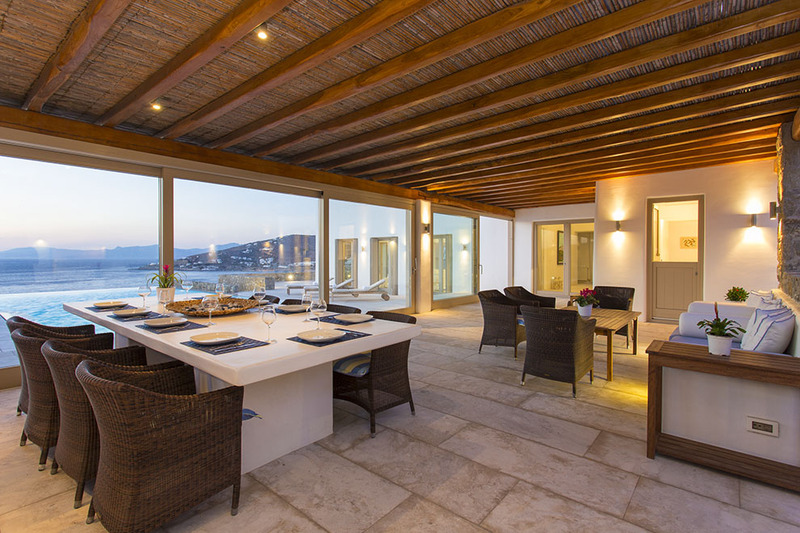 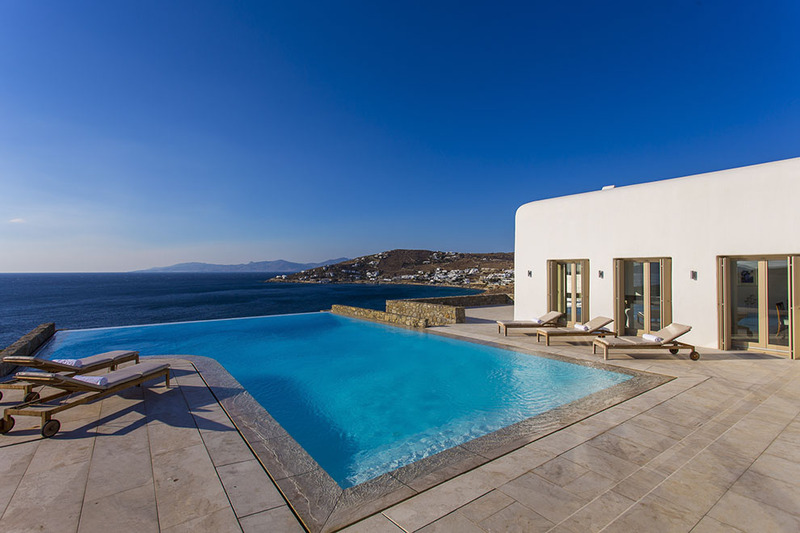 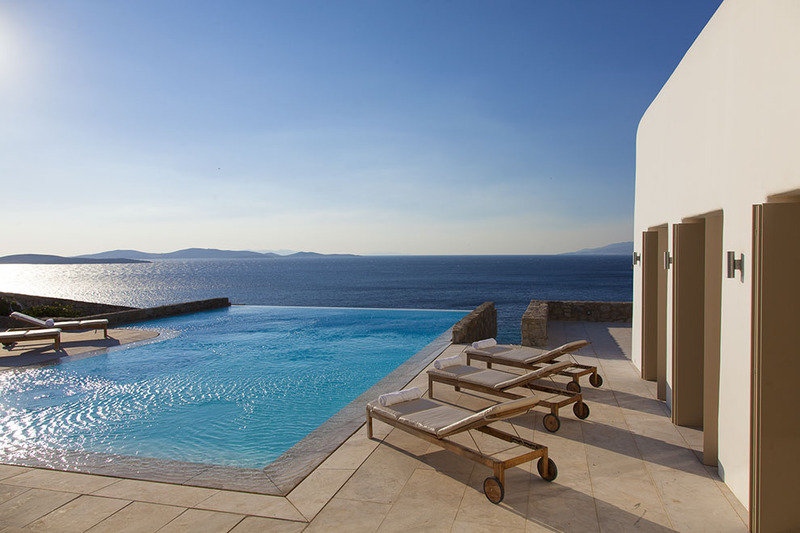 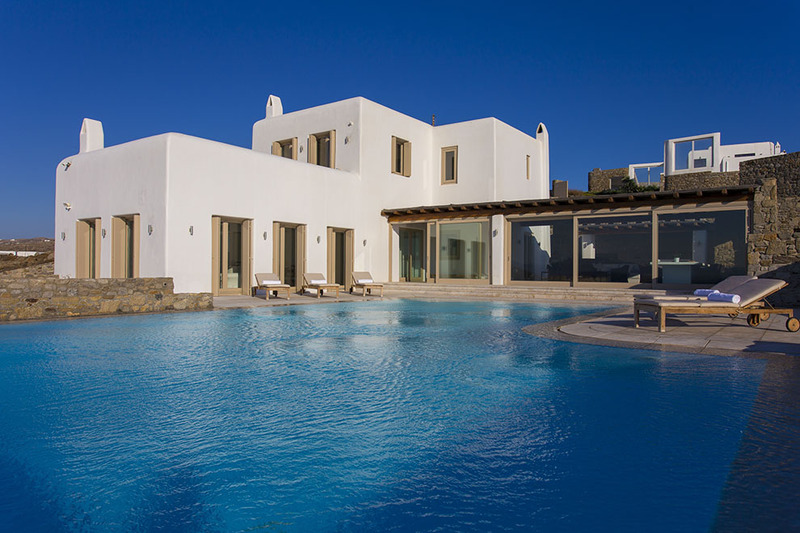 The impressive villa “Sundance“ is located at a privileged location in the south-west of Mykonos in the quiet area of Saint John and offers excellent sunset view, as well as views to the crystal blue waters of the Aegean sea and the ancient island of Delos. 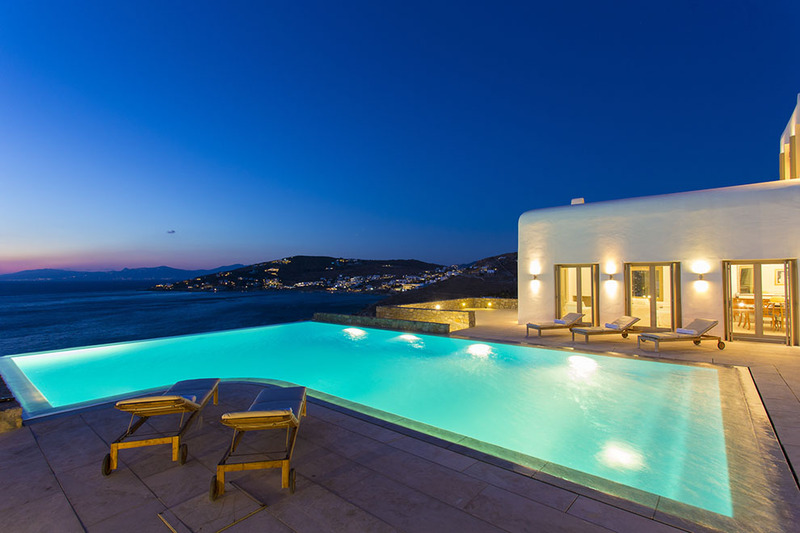 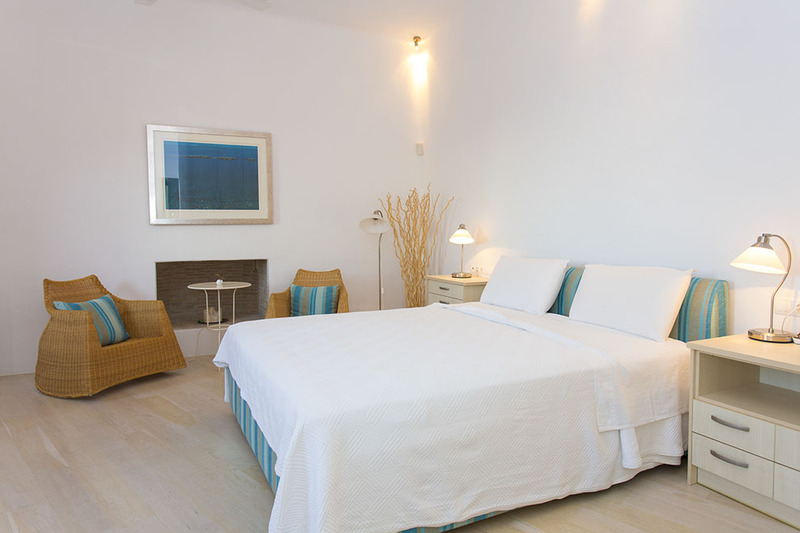 It overlooks the picturesque Saint John Bay and boosts very close proximity to some of the most famous beaches of the island and to cosmopolitan Mykonos town, which is the centre of the intense cosmopolitan night life. 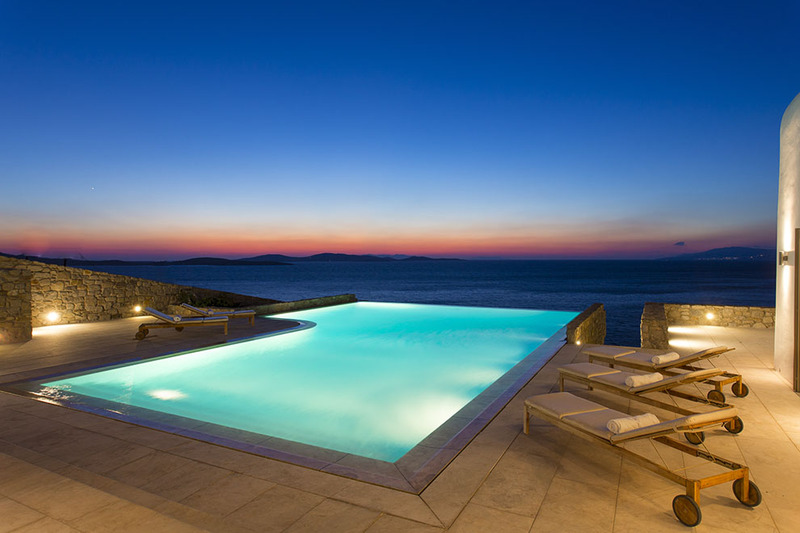 Also, offers the unique opportunity to its guests to enjoy their sea bath in the private beach, which is in front of the property. 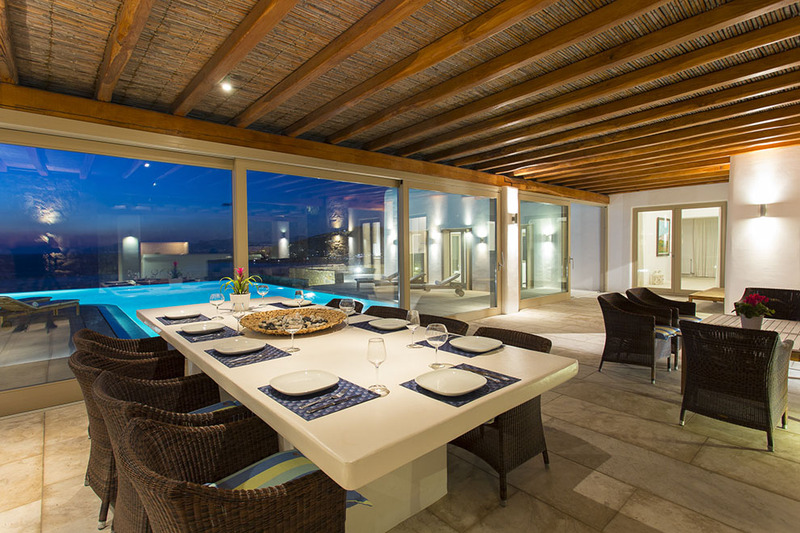 The exterior of the villa is spacious. 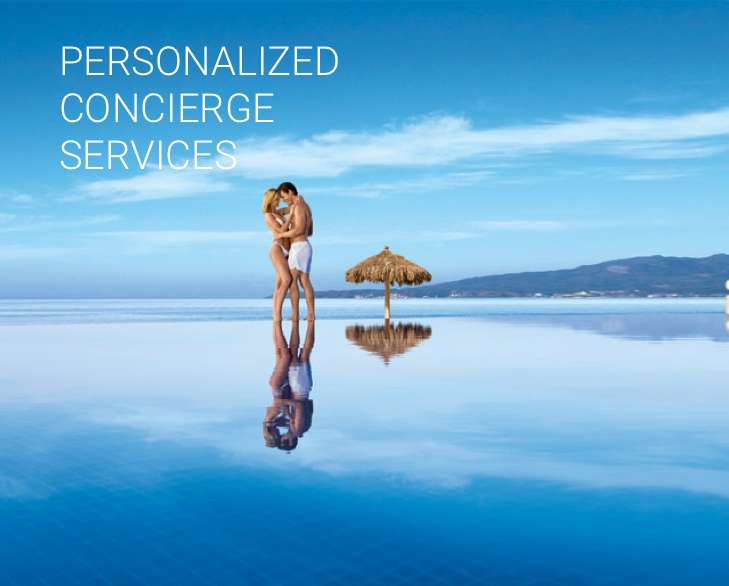 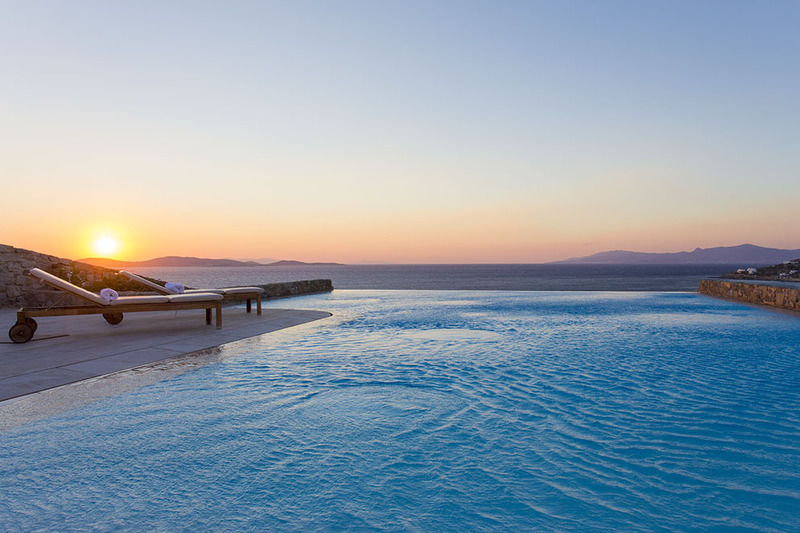 The private sizeable infinity pool dominates the scene, while the carefully designed outdoor areas calm the senses and offer a unique environment of unparalleled luxury. 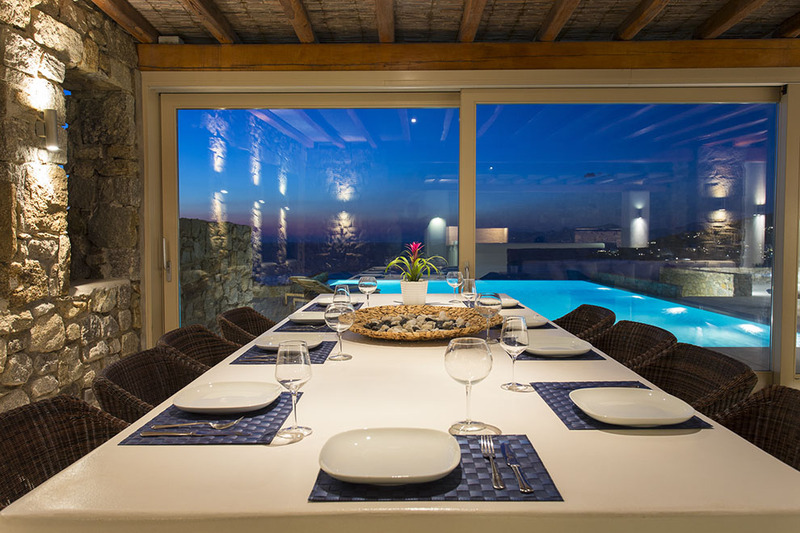 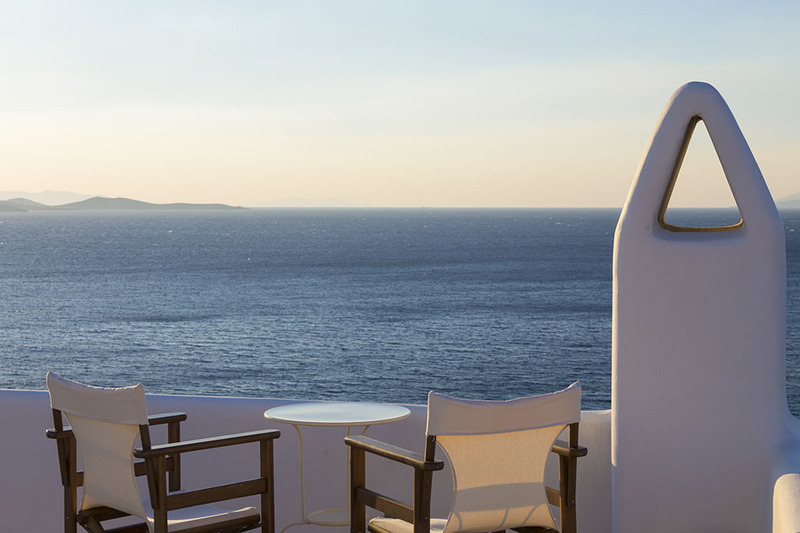 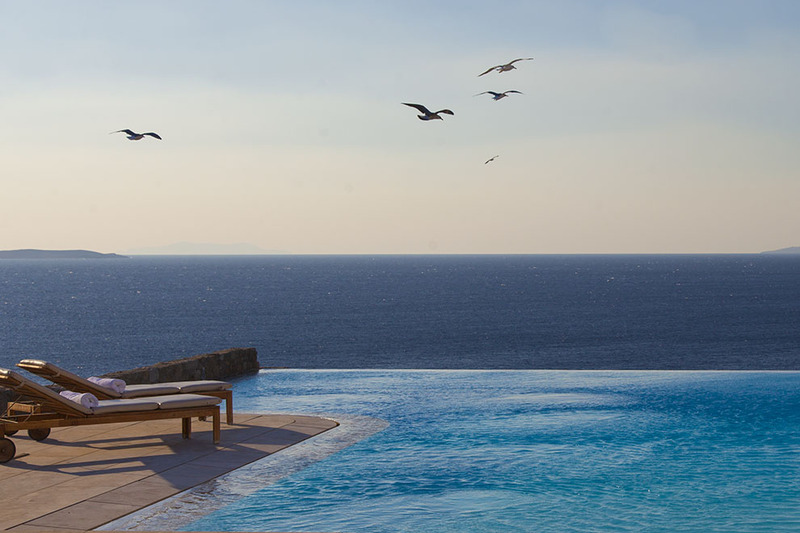 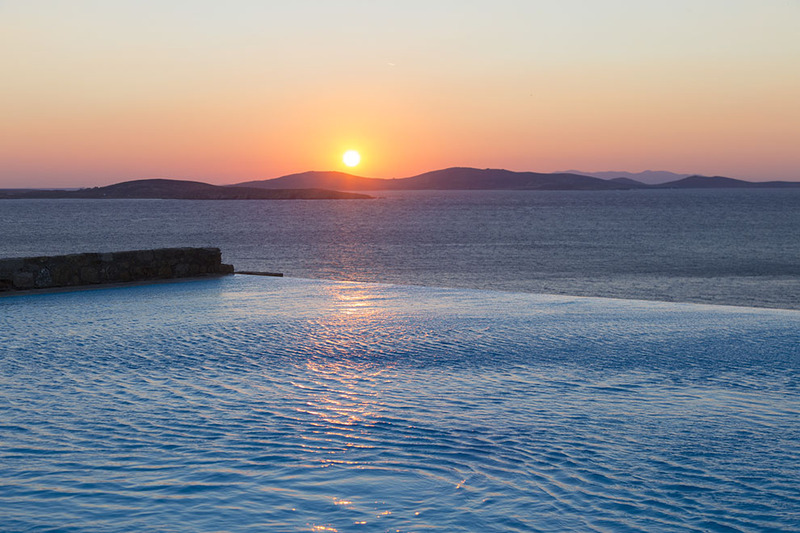 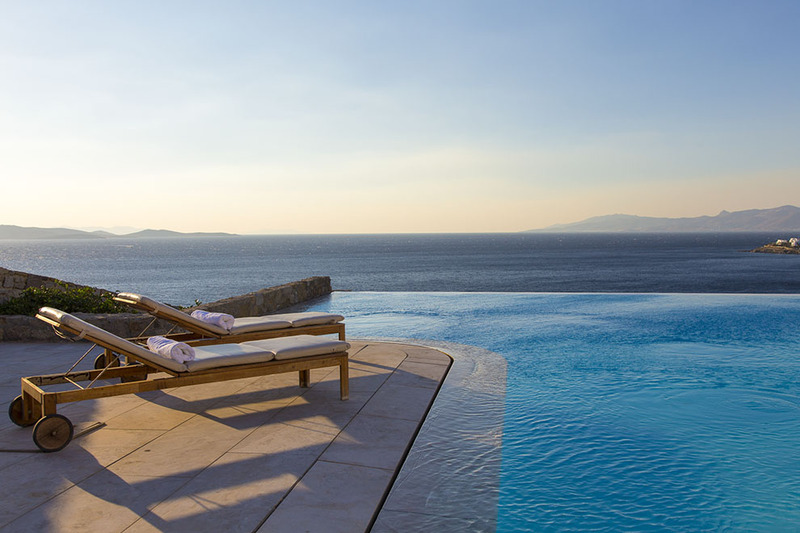 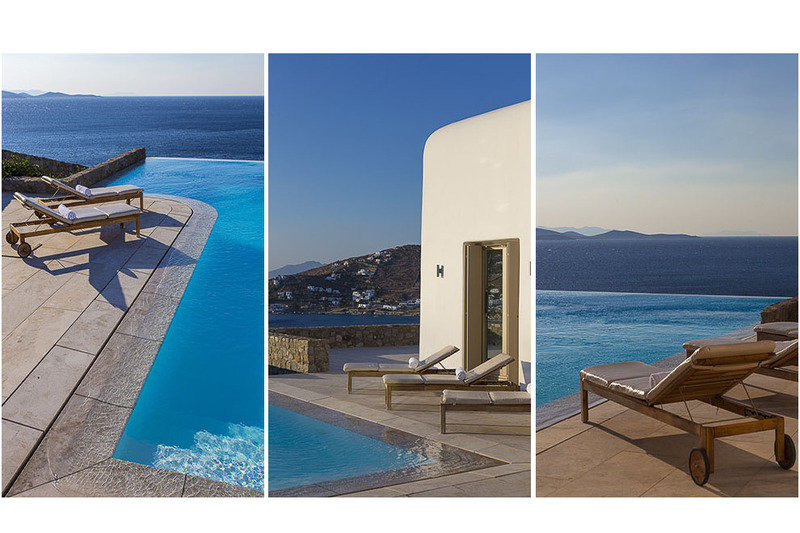 The numerous sun beds, the seating and dining areas are at guests disposal to enjoy memorable moments of entertaining and create the perfect atmosphere for magical days and nights in Mykonos. 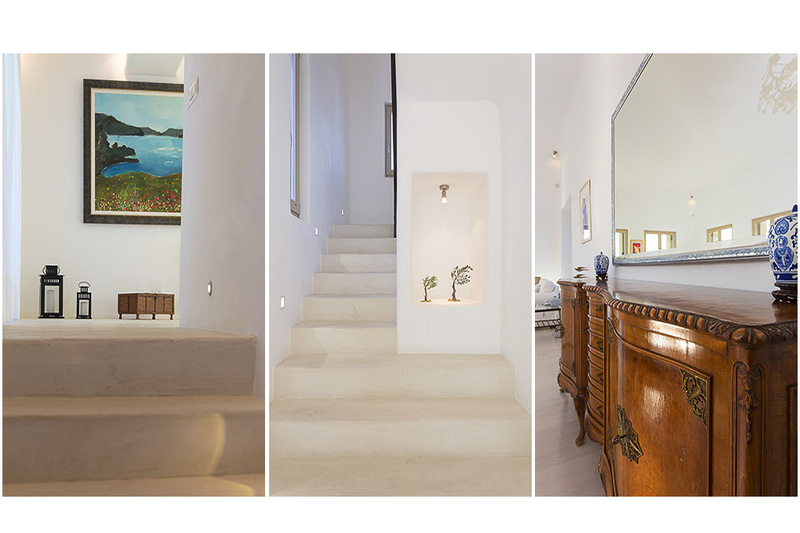 Inside the luxury details and the minimal furnishing are matched harmonically, creating a classy and elegant environment full of cozy corners and comfortable sitting areas. 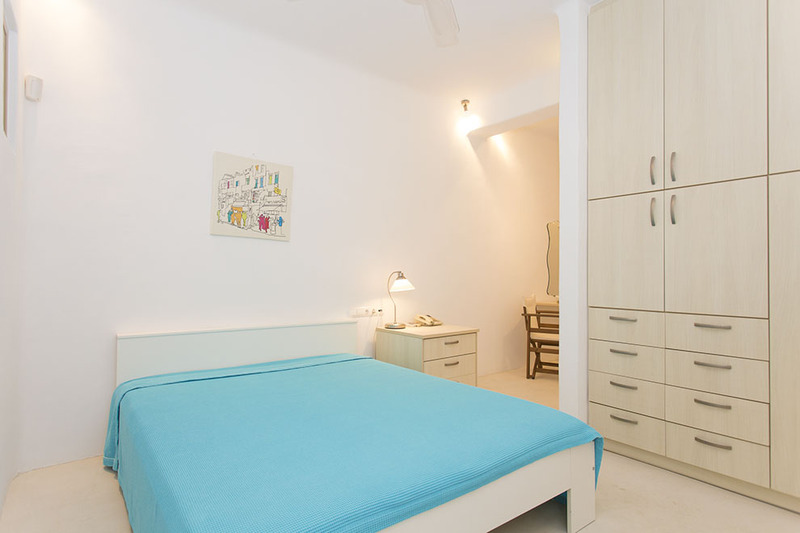 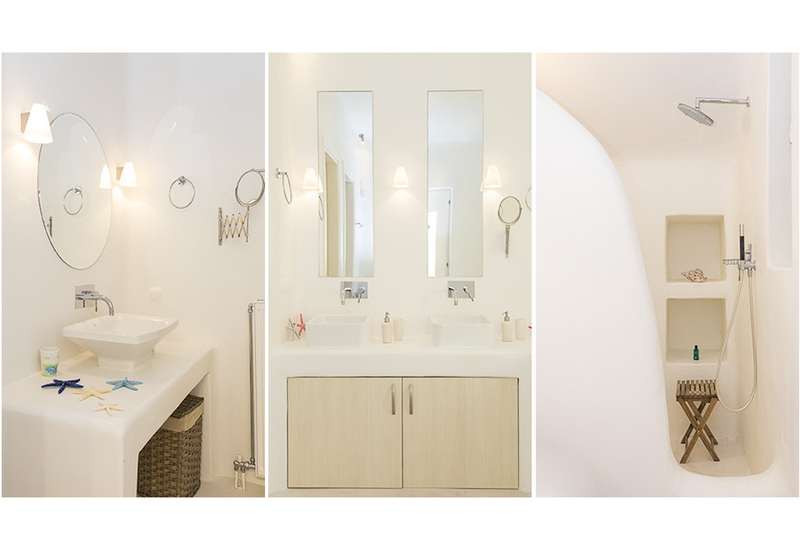 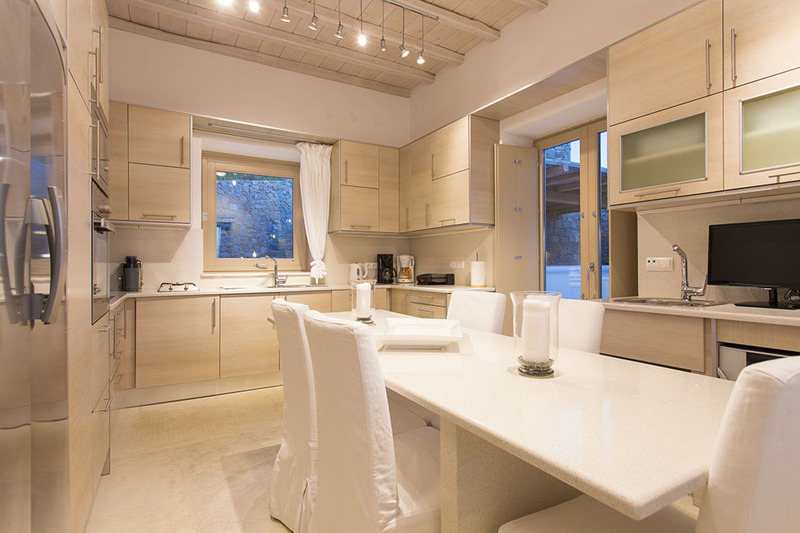 There is a fully-equipped kitchen and en-suite bedrooms that are spacious and the beds are king-size, providing ultimate comfort and warm hospitality. 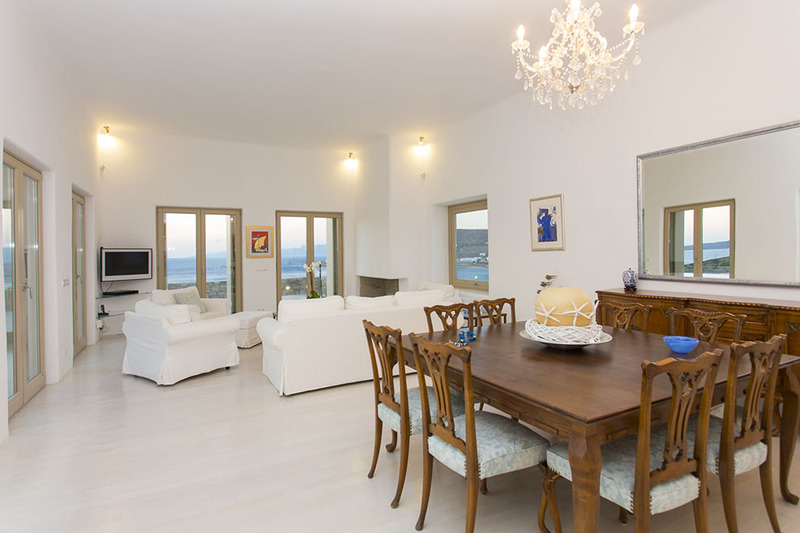 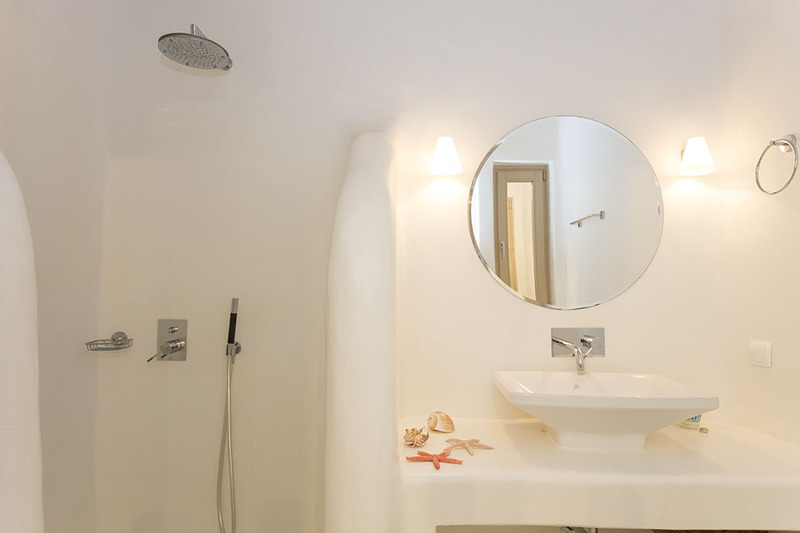 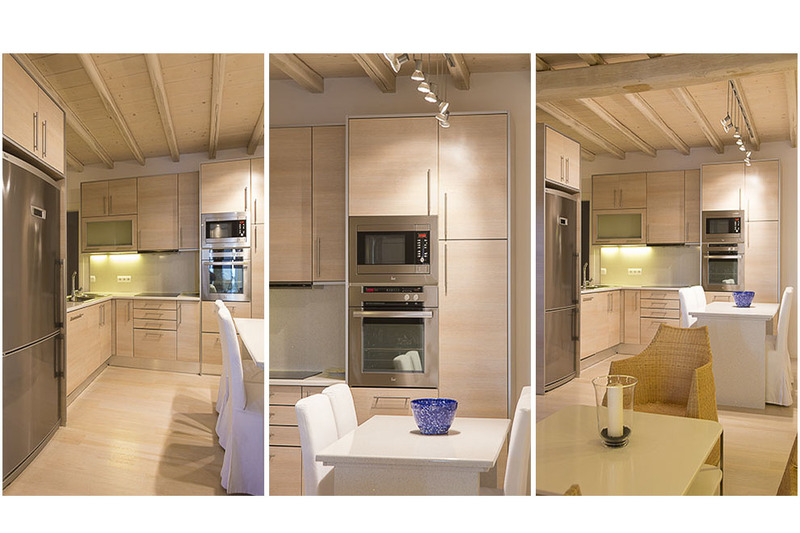 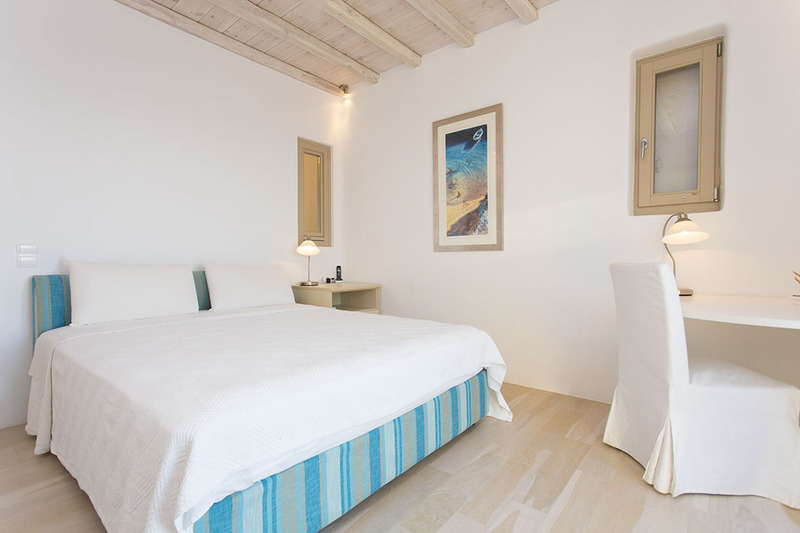 Villa “Sundance “ is like be in heaven, as it offers an luxury accommodation in privacy and in combination with its close proximity to the renowned beaches of the island and the private beach in front of the property, is an ideal place for unforgettable holidays.